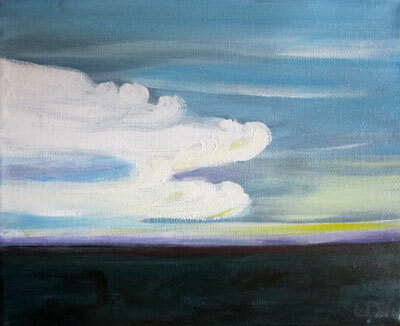 Colorado Clouds, 8″ x 10″ acrylic painting on gallery-wrapped canvas. Being able to see the sky, the clouds in wide open space in Colorado was so amazing and beautiful. I have so many cloud paintings to do! This entry was posted in Uncategorized and tagged acrylic painting, Colorado landscape, Linda Kay Thomas, Linda Snider-Ward, Louisiana artist, Second Saturday artist, skyscapes. Bookmark the permalink.